No matter how much we want our teeth to remain healthy across our lifetime, there are factors that lead to their destruction. Whether by accident, natural wear and tear, or by neglect, over the years your teeth may suffer from cracks and other imperfections. At Ria Family Dental, our goal is to give you a beautiful smile and help you keep it for a lifetime. Tooth fillings are one important option to restore your teeth’s beauty and strength and prevent further damage. A tooth filling is a resin material attached or bonded to your teeth to fill in cracks or damage, and return your teeth to their natural shape and function. The materials used for tooth fillings are durable, so they can effectively participate in your teeth’s natural functions such as chewing, grinding, and biting. Tooth fillings are tooth coloured. They blend naturally with your natural teeth making it nearly impossible to detect that you have them. There are different types of fillings according to their uses and the materials used in their construction. The most popular are composite or tooth coloured fillings. Front teeth fillings – If the target tooth is located in the front of the jaw, the best dental filling to use is a composite filling. They are tooth coloured, blend naturally with the rest of your teeth, and feel like your natural teeth. Back teeth fillings – For teeth located in the back part of the jaw such as the molars, silver or composite fillings are recommended. These materials can withstand heavy chewing and grinding. The use of amalgam fillings had been discouraged because of the possible danger brought about by their mercury content. 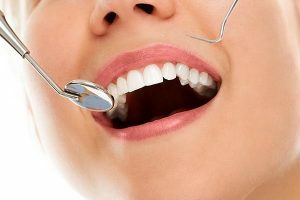 Once it has been established that you are an ideal candidate for tooth fillings, the following steps are taken. The damaged tooth is cleaned, and the decayed parts are removed. To keep the target tooth dry from saliva, a dental dam is used. The tooth filling is applied, shaped, and bonded on the tooth. An ultraviolet light is used during the curing process to harden the bonded material into place. Ria Family Dental provides multiple options to achieve oral health and dazzling pearly whites. We will be with you every step of the way to make sure you choose the best option for you.